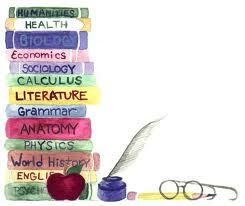 - Textbooks: Most families begin their journey with textbook used in most schools. This is easy to do in Karachi at least where one can go to any stationary shop and ask for the textbooks of your chosen subjects at a chosen school. Most textbooks also have an accompanying teachers guide. This allows you to view a large selection of books and chose which is appropriate for your child. Its usually a good idea to speak to relatives with schooling going children to view their books prior to visiting a shop. Paramount Publishers allows you to view and purchase books from their website (http://www.paramountbooks.com.pk/index.asp). Oxford textbooks (http://www.oup.com.pk/shopdisplayproducts.asp?catid=326&id=328&parentID=20) can be bought online but unfortunately their entire book list is not available for viewing online and they are slow at delivering. Both places have a cash on delivery option for Karachi. (I am not recommending either, but simply letting you know what's out there). Be aware that many online curriculum in a box is Christian based and often made in accordance to state regulations; in many countries there are laws where homeschoolers have to make a portfolio of their children which is evaluated by Councillors and must sit for state funded standardized tests. In Pakistan we have the freedom to chose our curriculum of our younger children and for matric or cambridge papers we can register as private candidates to purchase syllabi and for examinations. - Online resources: Alhumdulillah the internet has allowed us access to a variety of online resources- free and some at a cost. Its hard not to get overwhelmed, so do try to focus on your child's abilities and needs when selecting what to use and try your best to ignore the rest! Most of these sites provide curriculum, free online books, links to useful sites as well as advice on how to get started. -D-I-Y curriculum: Most families begin by buying a host of textbooks and then eventually settle for a mixture of books, online resources as well as sending their children to tutions and afternoon classes for more tricky subjects. Often informative story books, nature study, kitchen chores and outdoor sports all come together to build a families holistic curriculum. Families also adopt a number of homeschooling approaches or a mixture of several approaches to suit their children, family values and even lifestyle and that's the beauty of homeschooling, its flexibility. Its important to stay focused on your child and families goals when planing your homeschooling life, there's a wealth of information out there so make lots of dua, stay focused, research and enjoy the experience.